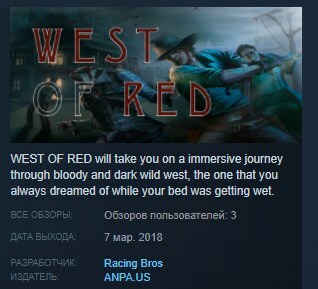 WHAT IS WEST OF RED? 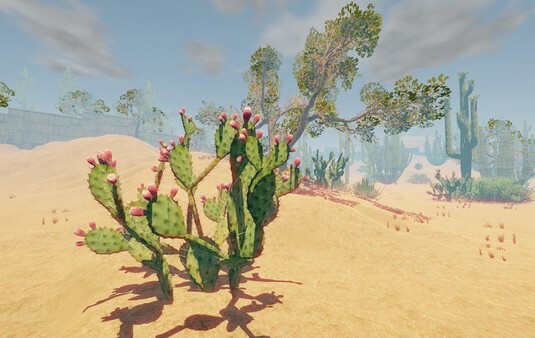 WEST OF RED is a chaotic first person shooter that confronts heavily armed players with the army straight from Hell and the Devil himself. The world of WEST OF RED is set in Wild West times, where everything and we mean absolutely everything is dark , mysterious and crazy awesome. The story starts somewhere on American-Mexican border when an important delivery coach is missing in the desert. Local sheriff believes this is some frontier bandits work and sets a bounty on their heads. As a local patriot you decide to take care of it on your own. 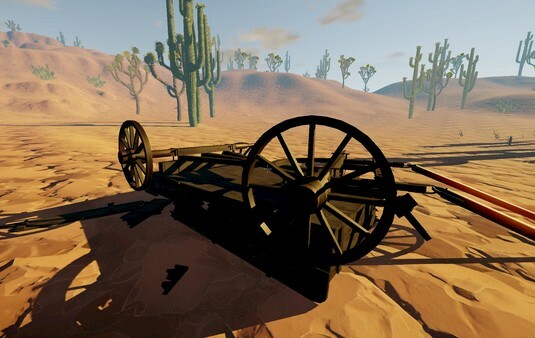 As you were always good with guns, you set on a journey to find the missing carriage. Variety of creatures to shoot and dice, ranging from imps, thorough medium sized daemons up to tough as hell lesser Devils and The Lord of Night himself. Multiple bosses to defeat with wild west specific arsenal of weapons, ranging from revolvers, shotguns up to long range rifles. 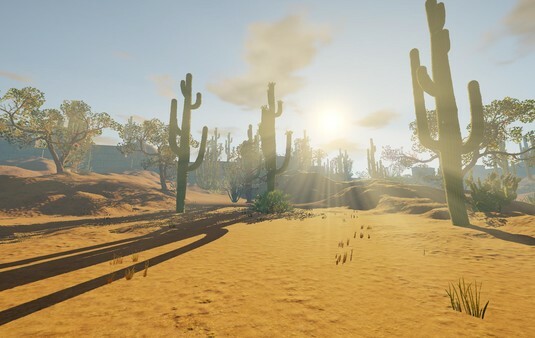 WEST OF RED will take you on a immersive journey through bloody and dark wild west, the one that you always dreamed of while your bed was getting wet.